Rabbi Jeffrey S. Fox, Rosh Yeshiva of Yeshivat Maharat, was the first graduate of Yeshivat Chovevei Torah. Upon graduation he served as the Rabbi of Kehilat Kesher: The Community Synagogue of Tenafly and Englewood for seven years. In Rabbi Fox’s tenure at Kesher, the community grew three-fold from thirty families to nearly one hundred. During that time Rabbi Fox also taught at Yeshivat Chovevei Torah as well as the Florence Melton Adult Education School in Bergen County. He also served on the board of the Synagogue Leadership Initiative of the UJA of NNJ. 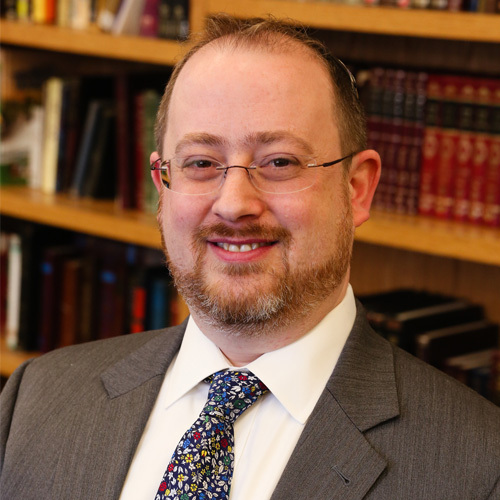 Rabbi Fox is a Senior Rabbinic Fellow of the Shalom Hartman Institute and has also been a member of the faculty of the Drisha Institute, the Florence Melton Adult Education School in Westchester County, and Yeshivat Hadar.